The 2016 MBC Drama Awards took place on December 30 and “W” was the biggest winner. “W” won a total of seven awards! Lee Jong Suk won the voter-determined Grand Prize, writer Song Jae Jung won Best Scriptwriter of the Year, Han Hyo Joo and Lee Jong Suk won Best Couple, Kim Eui Sung won the Golden Acting Award, both Han Hyo Joo and Lee Jong Suk won High Excellence Awards in the Mini-series category, and “W” won Drama of the Year. 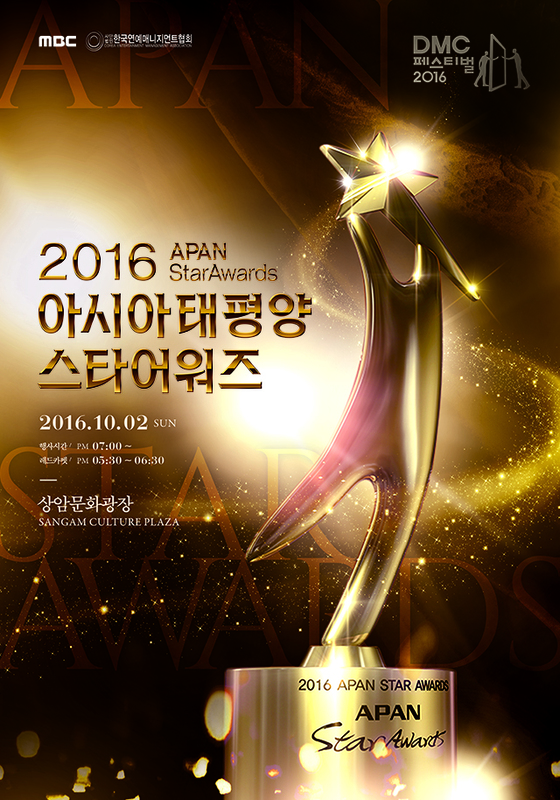 On October 2, this year’s hottest dramas and actors were honored at the 2016 APAN Star Awards. The ceremony was hosted by Shin Dong Yup and Honey Lee and took place at the MBC Sangam Culture Plaza. The awards review 63 dramas that aired between September 2015 and September 2016. Song Joong Ki was the recipient of the Grand Excellence Award (Daesang) for his work in “Descendants of the Sun.” He also won Best APAN Star Award as well as the Best Couple Award with Song Hye Kyo. Other winners of the night include the Top Excellence Awards for Han Hyo Joo (“W“) and Jo Jin Woong (“Signal”) and Best New Actor/Actress Awards for “Reply 1988’s” Park Bo Gum and Hyeri as well as “Moonlight Drawn By Clouds‘” Kim Yoo Jung. New MBC drama ‘W’, starring Lee Jong Suk and Han Hyo Joo is dominating! The 1st episode of ‘W’ started off with decent viewership ratings of 8.6%. Soon afterward, the ratings soon increased with the airing of the 2nd episode, which recorded 9.5%. The most recent episode gained even more viewers, jumping the ratings up to 12.9%. On the other hand, KBS ‘Uncontrollably Fond’ starring Kim Woo Bin and Suzy, airing at the same time period as ‘W’, faced a decrease in viewership as the 7th episode dropped down to 8.6%. MBC’s “W” bested KBS 2TV’s “Uncontrollably Fond” in terms of local viewership ratings in its second week, data showed Thursday. The webtoon-themed fictional drama‘s third episode took 13 percent of the overall viewership in its slot, seeing a rise of 3.4 percentage points over the previous episode. The viewership of melodrama “Uncontrollably Fond,” starring Kim Woo-bin and Suzy, stood at 9 percent, seeing a drop of 2.5 percentage points. Han Hyo Joo and Lee Seung Gi voted as the celebrites who would help out most in the kitchen during Chuseok. Han Hyo Joo ranked first in the survey “which female celebrity who would help out most in the kitchen during Chuseok”, conducted by Hanchon Seolleongtang. And for male celebrity, the actor who take the first place is Lee Seung gi, followed by Lee Jong Suk who took sceond place and Ha Jeong-woo for the third place. Actress Han Hyo Joo has come out tops in a recent poll which polled users on ‘Which female star would make the best Songpyeon (traditional Korean food made of glutinous rice) for the upcoming Korean autumn harvest festival, Chuseok (Korean Thanksgiving Day). The poll was conducted by the Seoul Institute of the Arts on 741 students recently. Han Hyo Joo came out on top in the poll with 34.9% of the total votes. Han Hyo Joo’s elegance and style in period dramas, left everyone to think that she would also be best poised to make Songpyeon.